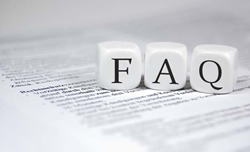 To assist you in pre-qualifying the industry-leading CRAs showcased at this site, below you will find standard FAQs that commonly appear on Employment Screening RFPs and RFQs. The answers to each of these questions, as they pertain to these CRA's technical and integration capabilities, are also provided to demonstrate their extreme technically advanced abilities to become an excellent source for your screening needs. QUESTION: What options do you offer for getting authorization directly from our applicants? We offer an applicant management center with very elaborate options for you to use to accept authorization from your applicants as well as get their personally identifiable information (PII) to help ensure that you stay EEOC-compliant. QUESTION: Do you provide a mechanism for ordering and tracking Adverse Action Notifications? Yes - We can manage that for you and our web-based technology allows the letters to be generated by you or request us to generate them. All of this comes with time and date stamps for audit-tracking purposes. QUESTION: How can I ensure consistency in interpreting results? We offer an adjudication service that provides easy accessibility to your standard (or position-specific) hiring guidelines which can be applied to each result. QUESTION: Do you offer on-line ordering? Yes, we have an extremely advanced web service portal filled with features to customize your ordering experience to uniquely meet your screening package needs. Our online services also feature a very sophisticated service for searching, viewing, printing and exporting your screening results. We offer full adjudication abilities, options to manage user accounts and generate your own business analytics reports on demand. QUESTION: Are their multiple delivery methods of results? QUESTION: Do you have a candidate portal where applicants can provide information and pay for their own background checks with a credit card? Yes, we have a very sophisticated applicant management center with ATS capabilities for your candidates as well as your recruiters to use. For the candidates, secure credit card transactions are provided and the background screening order will not commence until the credit card payment is processed, if you choose to optionally apply that requirement. QUESTION: Does your system provide partial results ahead of complete reports? Yes, we have the capability to provide you with partial results as the background check progresses. QUESTION: Are their management reports for the user? Yes, we can provide you with a full range of management reporting on your screening program to include turnaround times, criminal hit ratios, adjudication ratios/trends and much more. QUESTION: Does your security infrastructure include firewalls, intrusion detection/prevention systems, SSL encryption, and other security technologies? Yes, we have a state-of-the-art security infrastructure complete with a managed firewall under the control of Protect-Point. We utilize 256-bit Secure Sockets Layer (SSL) protection in all of our client and applicant interfaces. QUESTION: What security products and tools do your systems deploy to protect our data? Our Intrusion Detection and Intrusion Prevention (IDS and IPS) System keeps our organization protected against unwanted intruders and attacks. We monitor network traffic for suspicious behavior and respond to detected intrusions in real time. We also use 256-bit encryption for managing the security of a message transmission on the Internet. QUESTION: What ATS vendors have you integrated with? QUESTION: Do you have the capability to integrate your services to our proprietary HRIS system? Yes, we have an extremely talented technology team with the capabilities to build very highly advanced integrations to any system you may need. Our team has a strong and established track record of pulling off highly complex integrations and they can accomplish any specific projects that your company needs to build the tools to provide you with a seamless solution for your screening services needs. QUESTION: How does the Service Provider secure our data when it is transmitted via the Internet or other transmission method? 256-Bit SSL Certificate encrypting for any transmittals over the Internet or other external networks. QUESTION: How does the Service Provider secure web pages and URLs? Our web site and screening app are secured by a 256-bit encryption SSL Digital Certificate. QUESTION: What types of intrusion detection / prevention systems are used (i.e., network-based or host-based)? A network based, redundant system is deployed by Protect Point. This is state-of-the-art firewall. The firewall is managed by staff and sophisticated software 24/7 that is capable of detecting intrusion attempts by any logical method and immediately locking the intrusion attempt out with proprietary and patented algorithms. QUESTION: Will our data be stored in a secure data center? QUESTION: Does the data center have a geographically redundant location in the event a natural disaster or act of terrorism damages the primary data center? Yes. The geographical redundant site is located in Nashville Tennessee, with a secondary redundant site in Atlanta, Georgia and even a third in Cincinnati, Ohio. QUESTION: Is there a software application that must run on the user's workstation? QUESTION: Will each user have their own unique User ID and Password? QUESTION: Can we dictate password criteria as needed to ensure compliance with our security standards? QUESTION: Can the service provider's system be configured to expire user passwords periodically in accordance with our security standards? QUESTION: Does the service provider's system provide a function to enable users to change their own password securely? QUESTION: Can login accounts be locked after a defined number of unsuccessful login attempts? QUESTION: Does the service provider or application provide auto-logoff after a fixed period of inactivity? Users will access a secure Web site. The site is secured with a SSL 256 bit certificate and requires User ID and Strong Password before access.